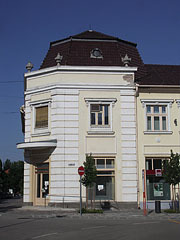 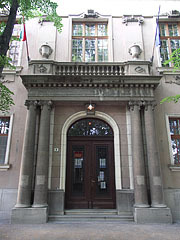 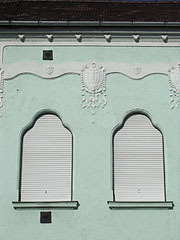 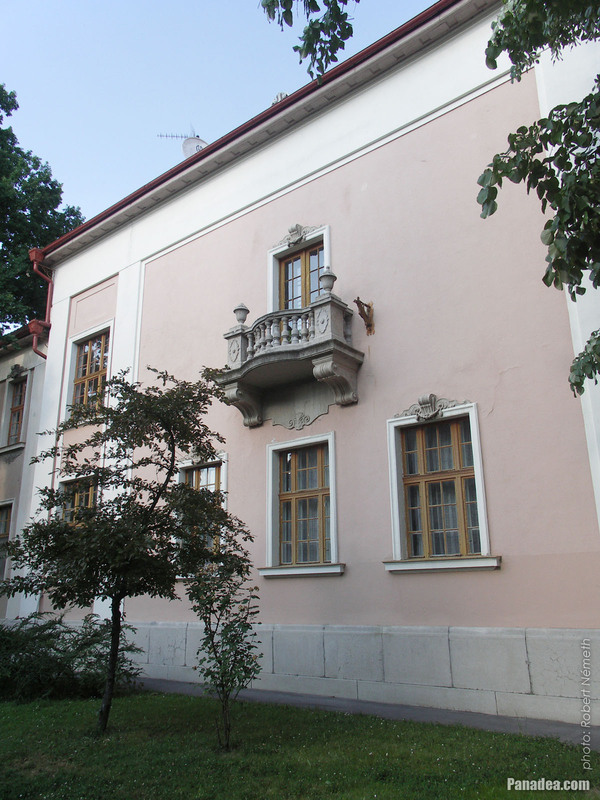 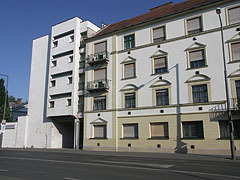 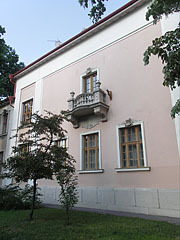 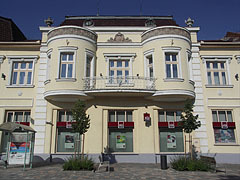 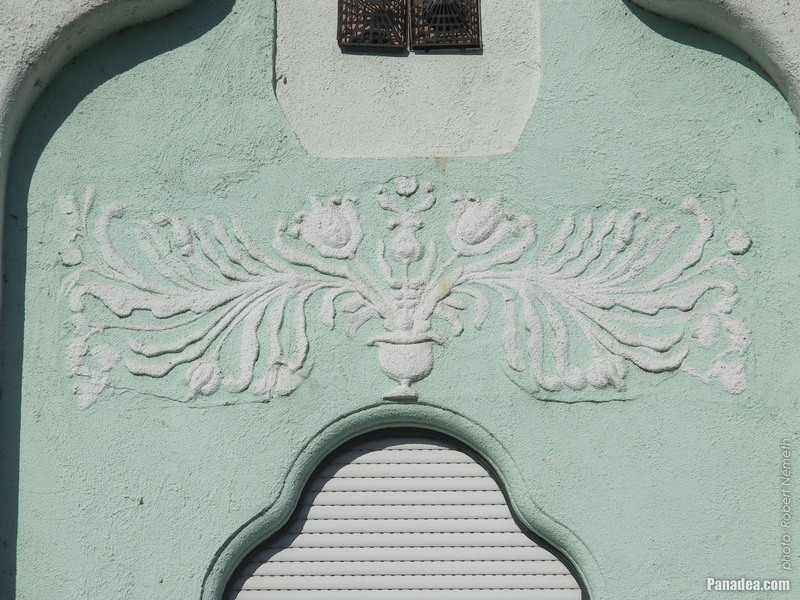 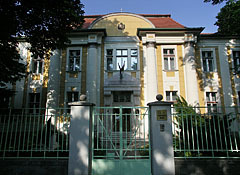 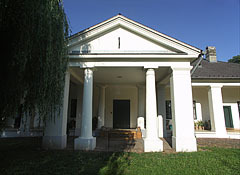 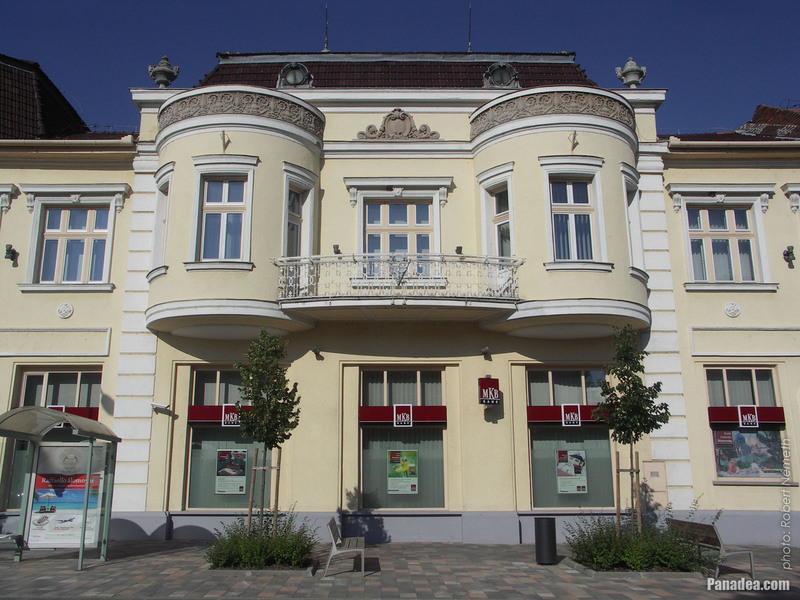 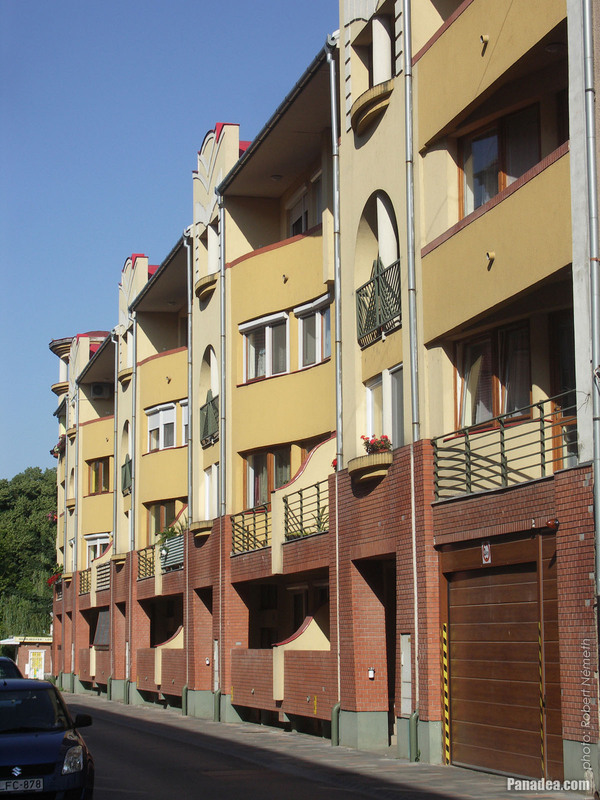 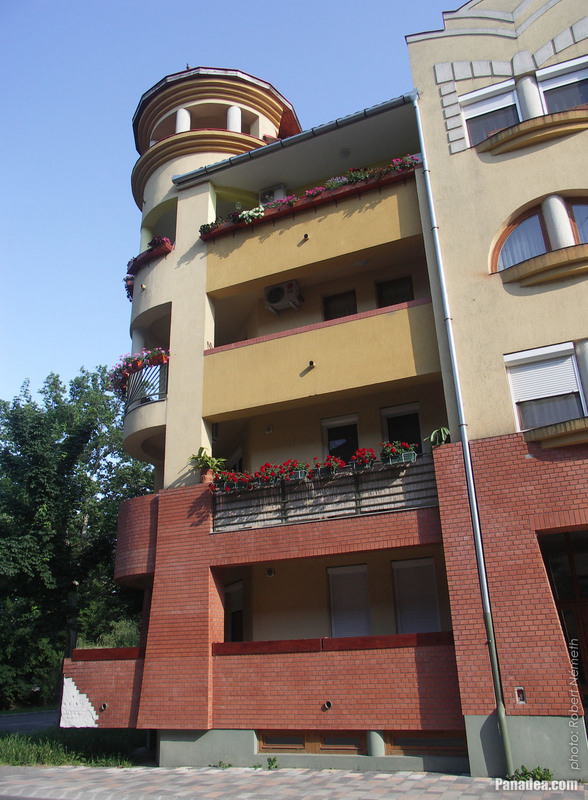 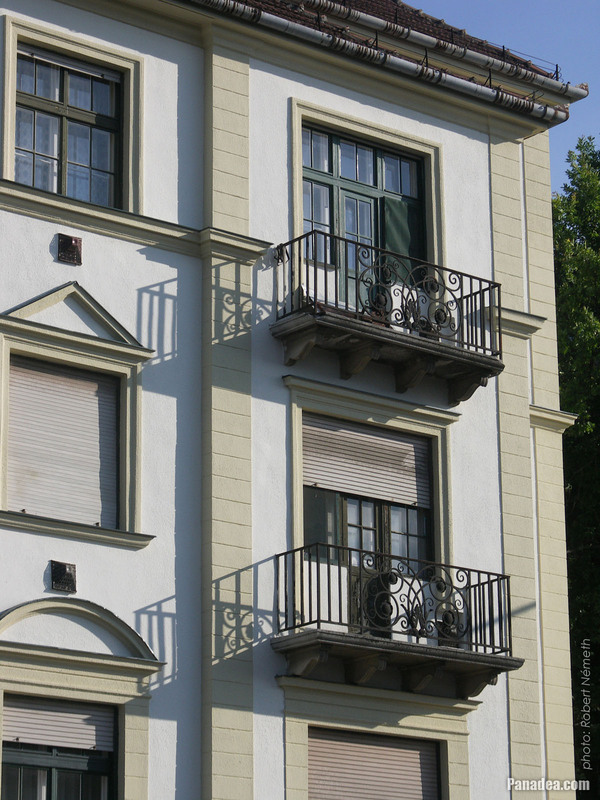 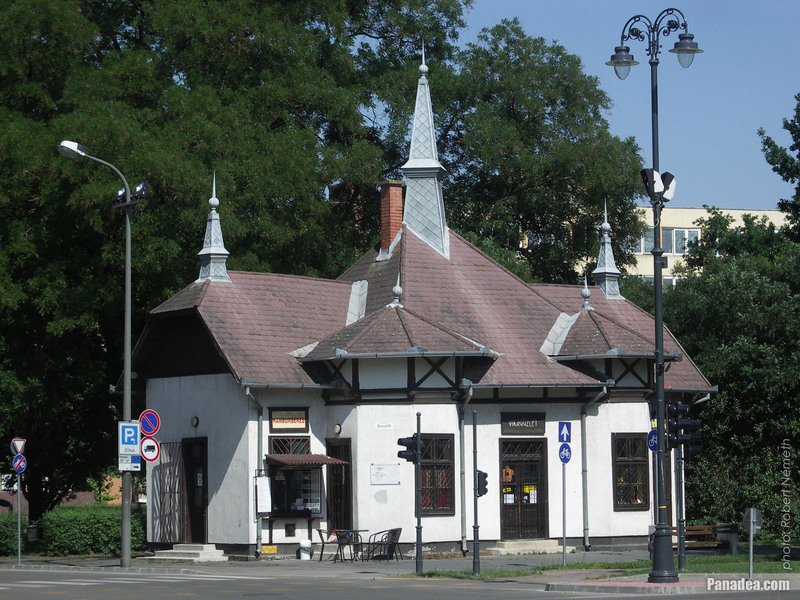 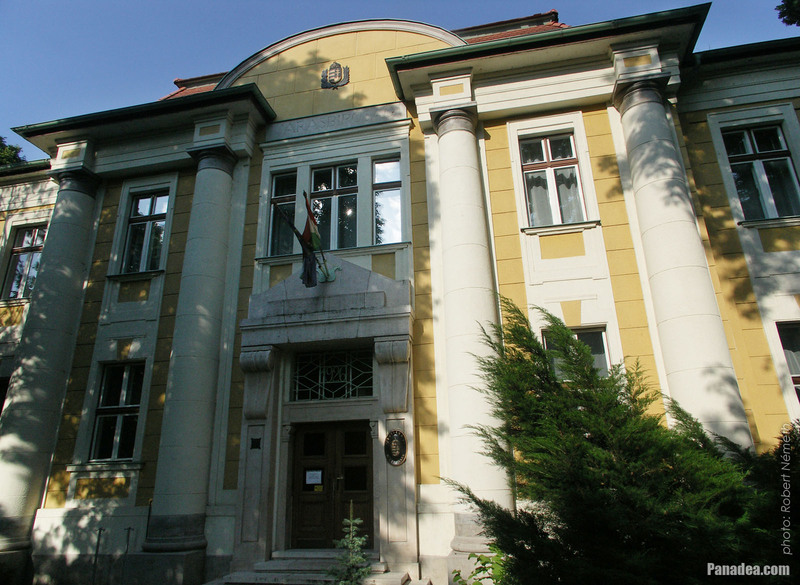 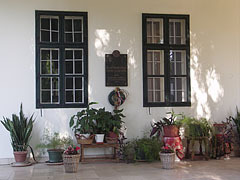 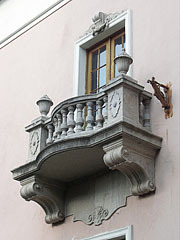 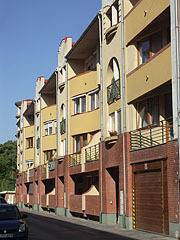 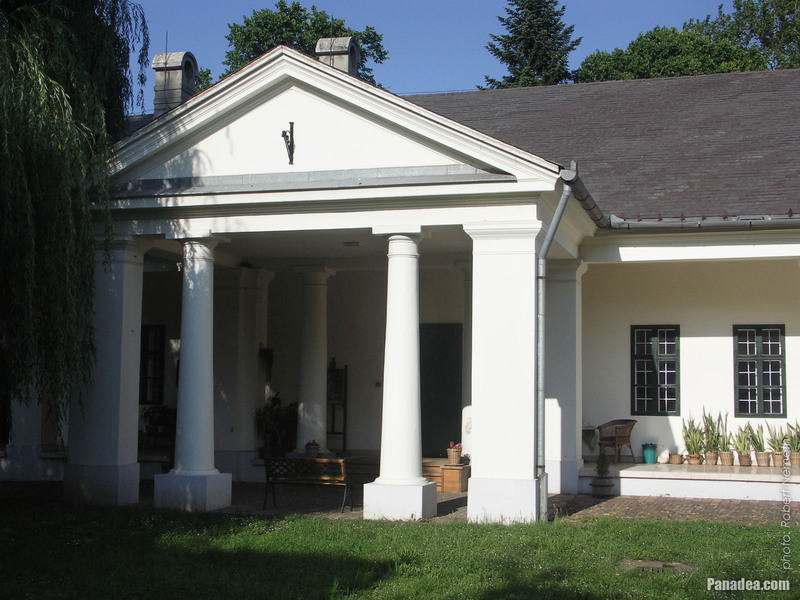 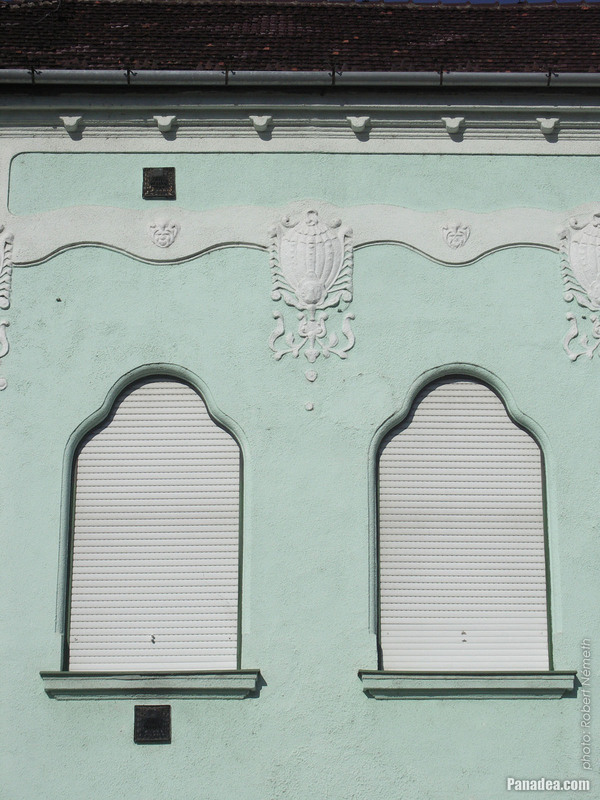 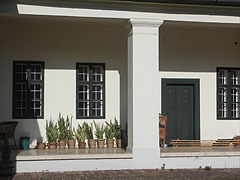 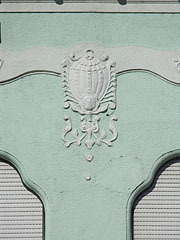 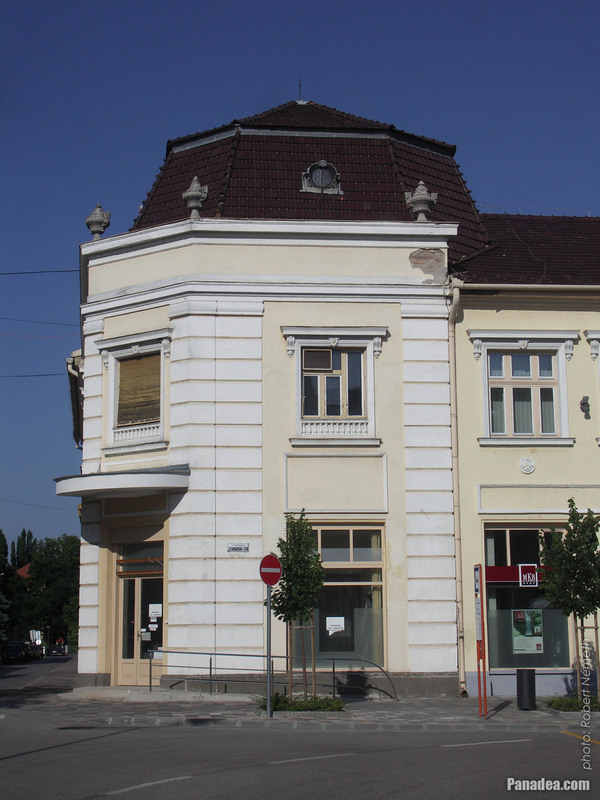 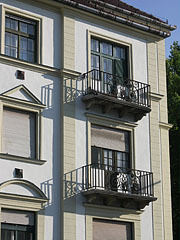 The house of Sándor Kugel ironmonger was built between 1927-1928, designed by Pál Vágó. 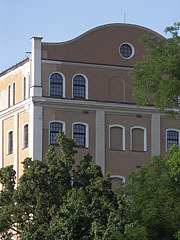 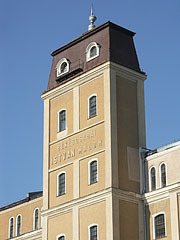 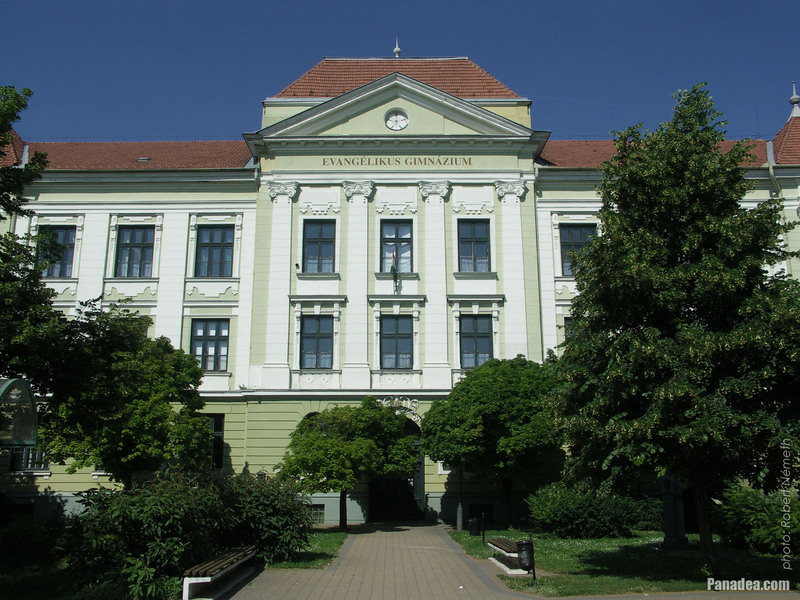 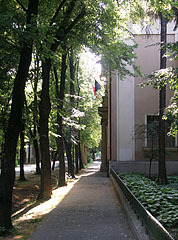 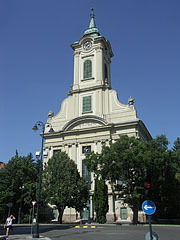 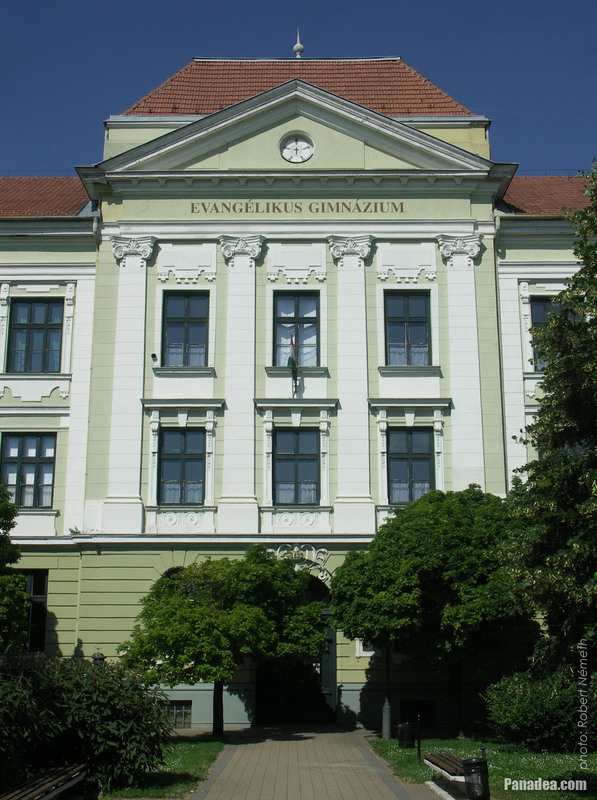 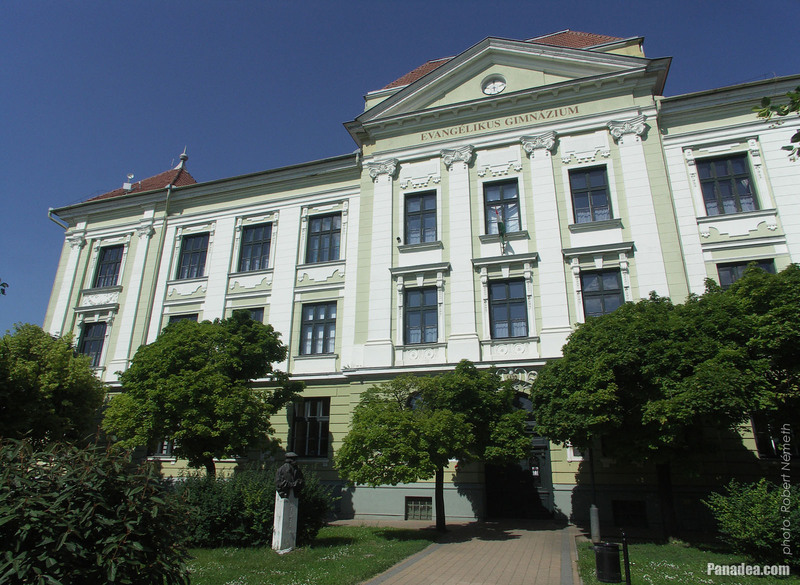 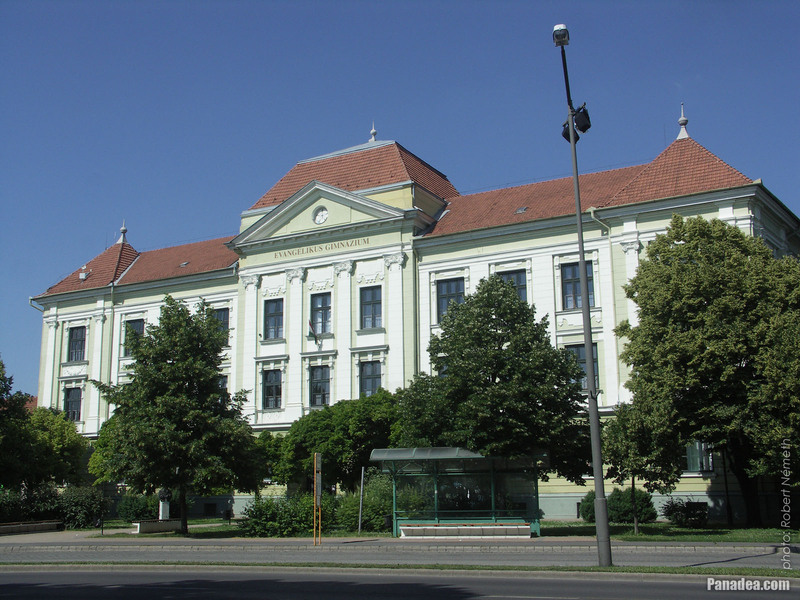 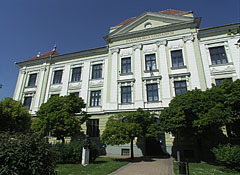 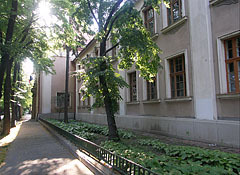 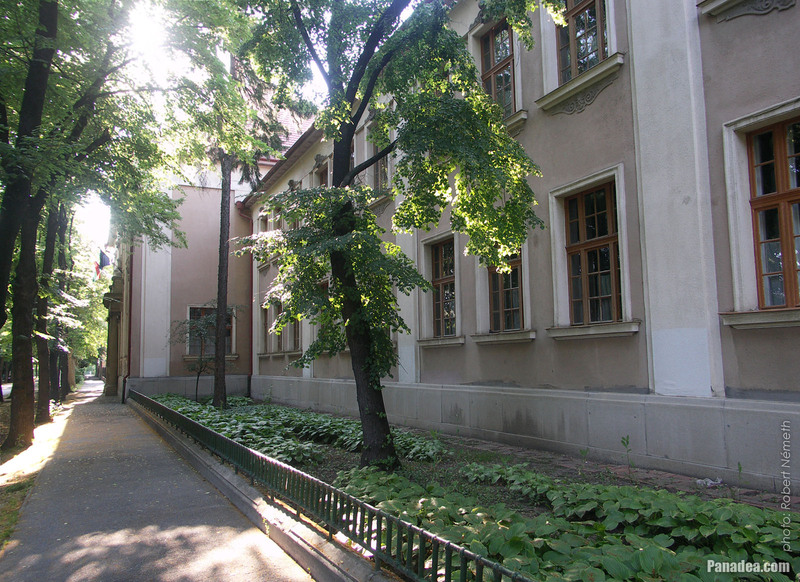 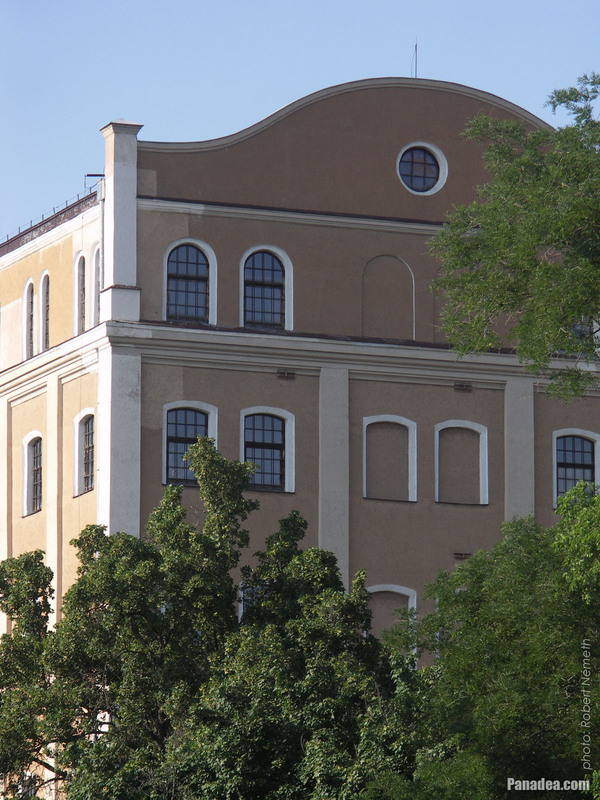 The building was originally the Evangelical Rudolf Main Grammar School ("Evangélikus Rudolf Főgimnázium"), then between 1948-1994 the Rózsa Ferenc State High School ("Állami Rózsa Ferenc Gimnázium"). 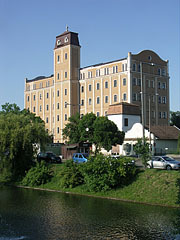 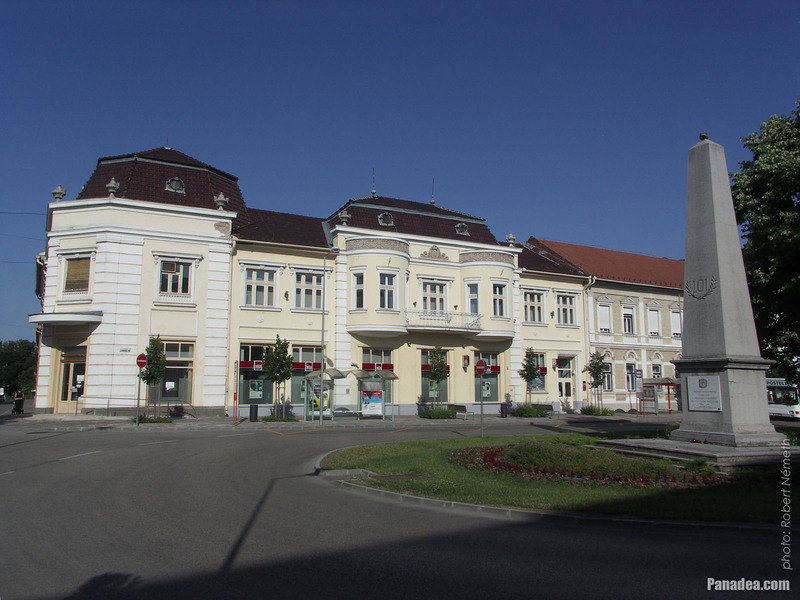 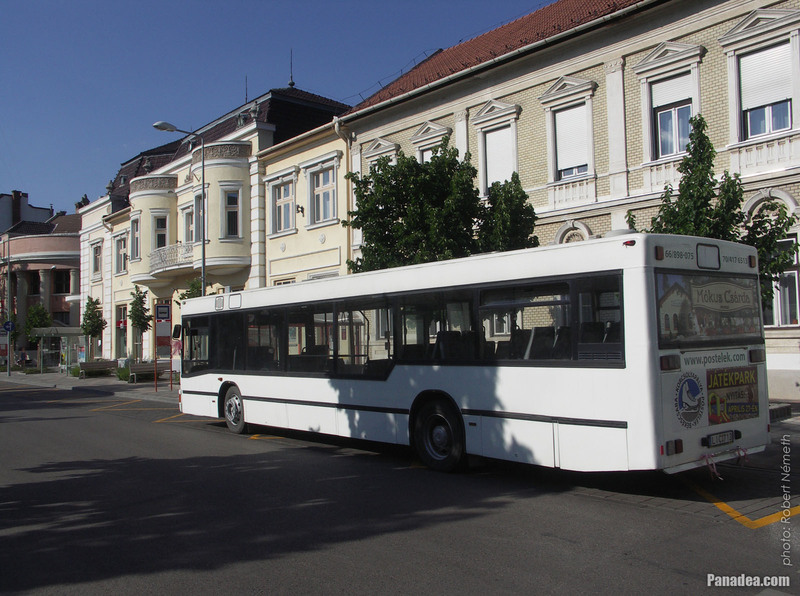 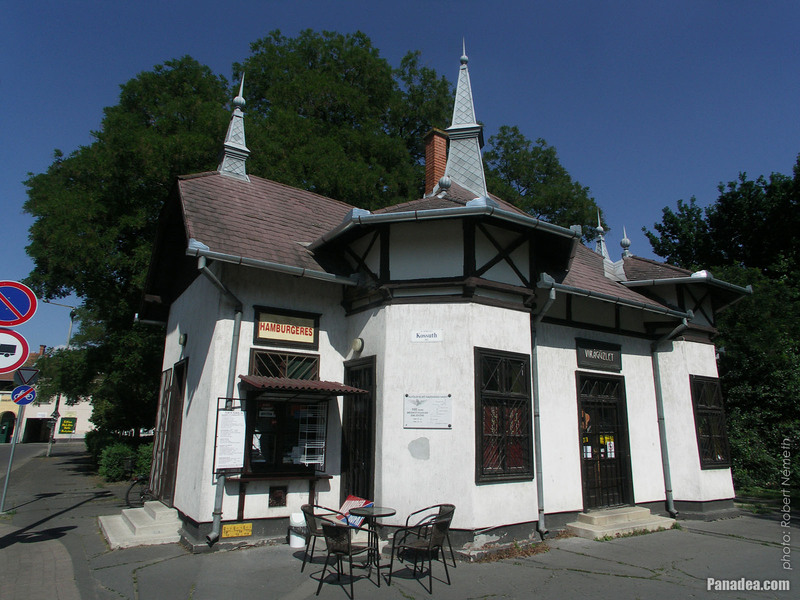 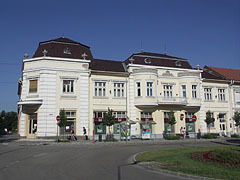 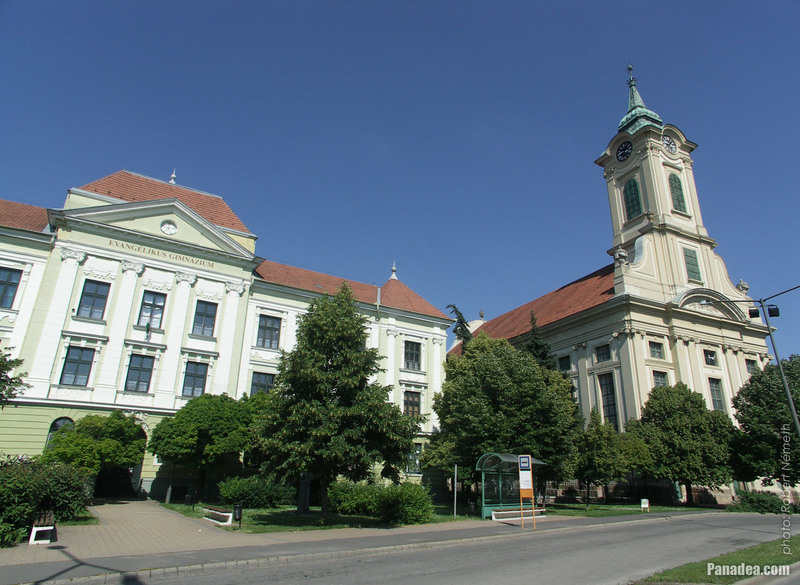 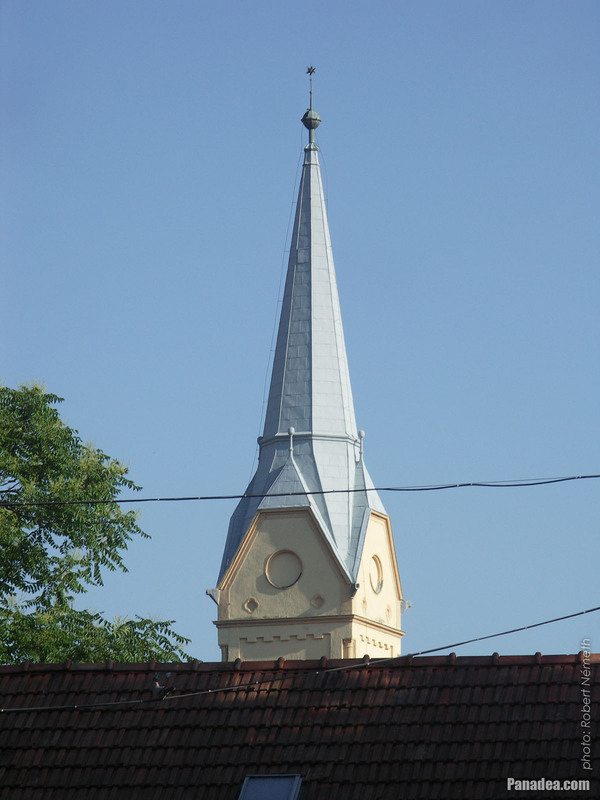 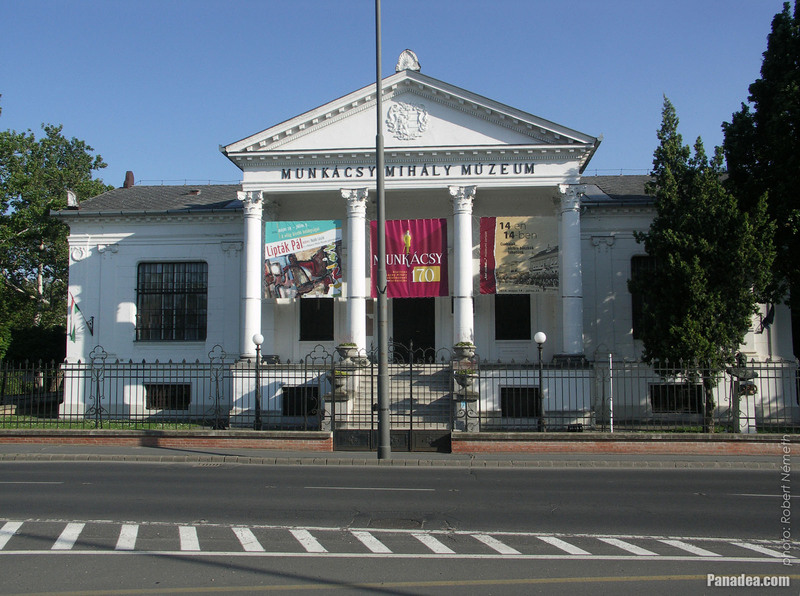 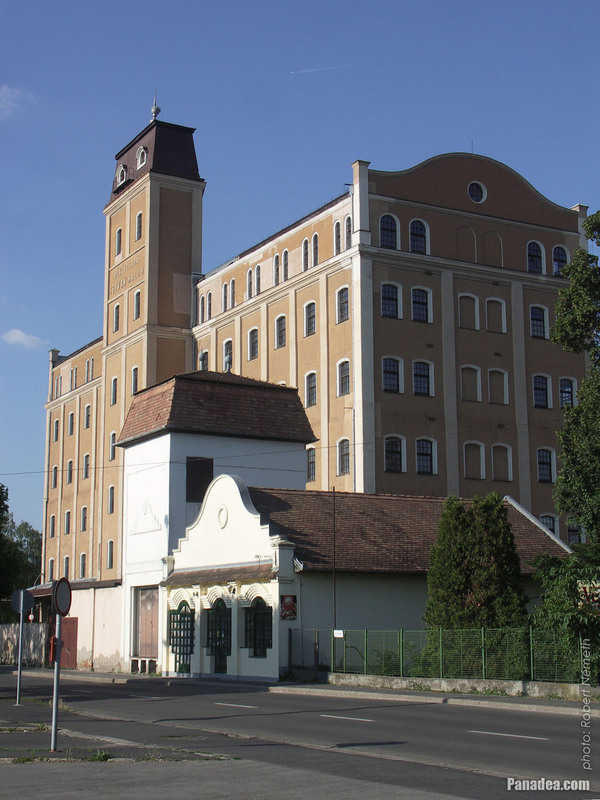 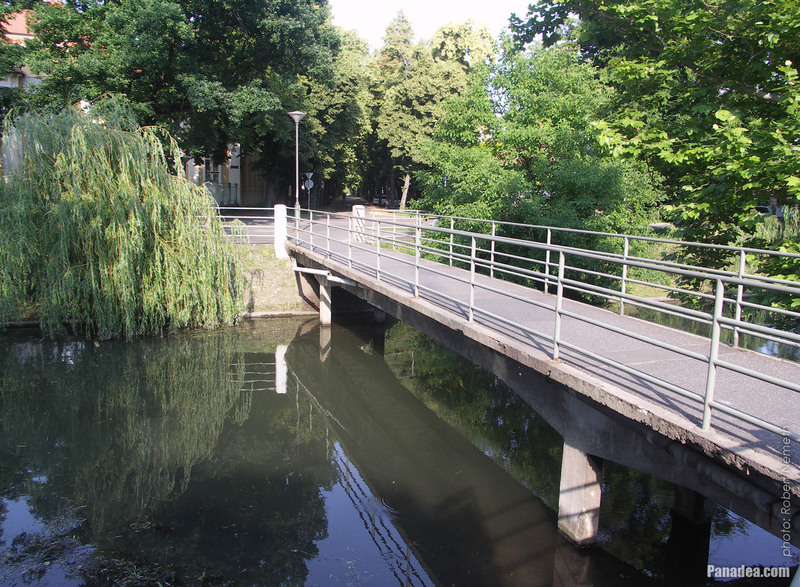 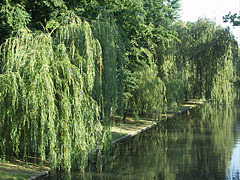 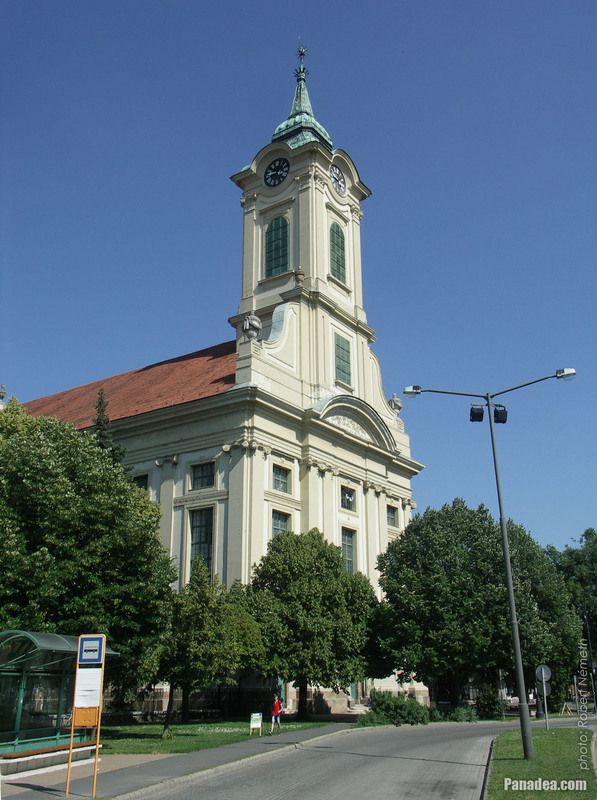 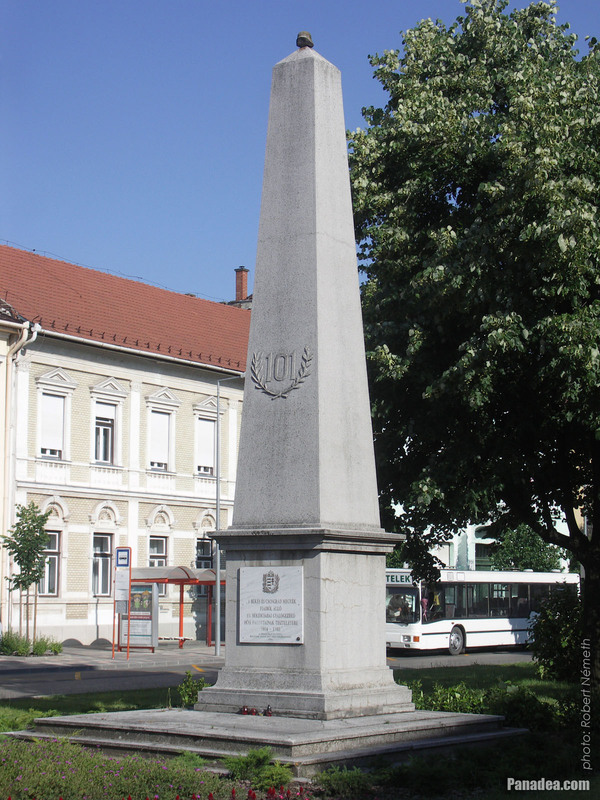 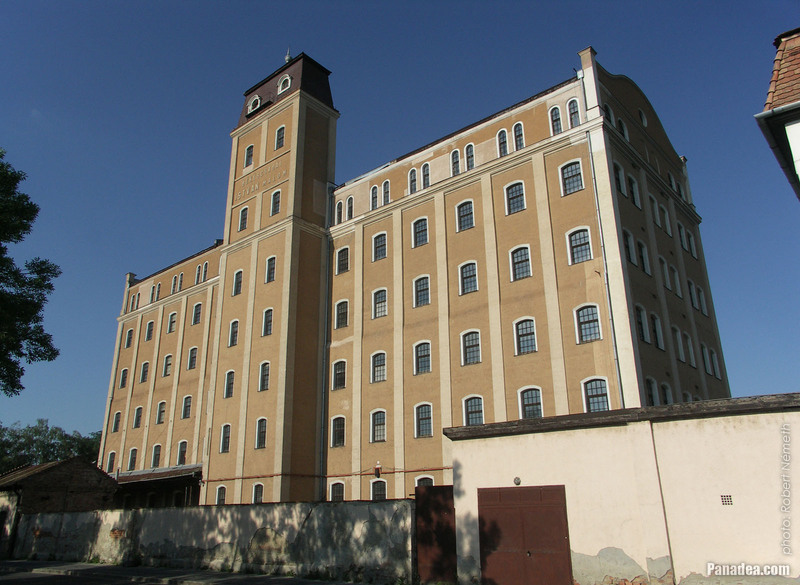 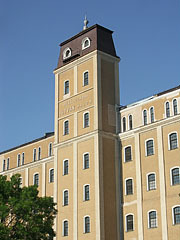 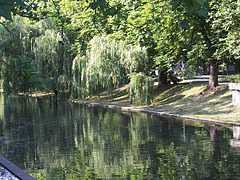 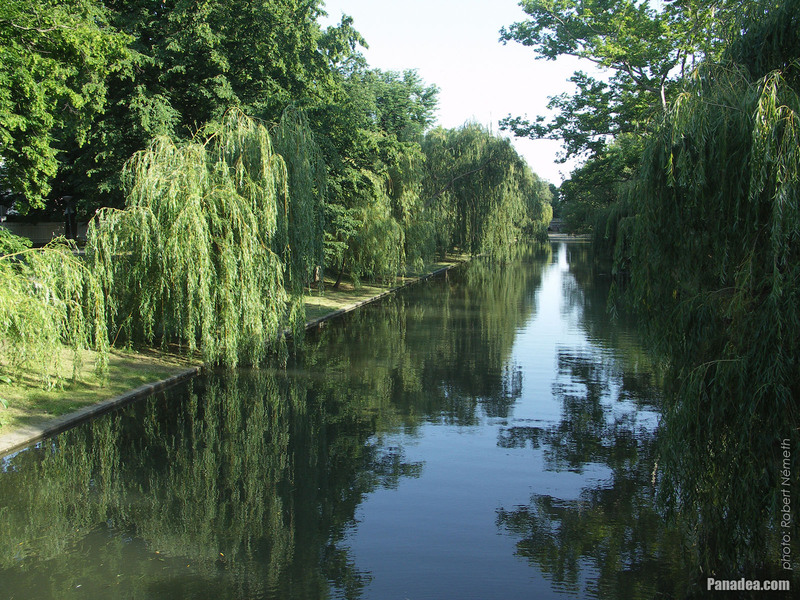 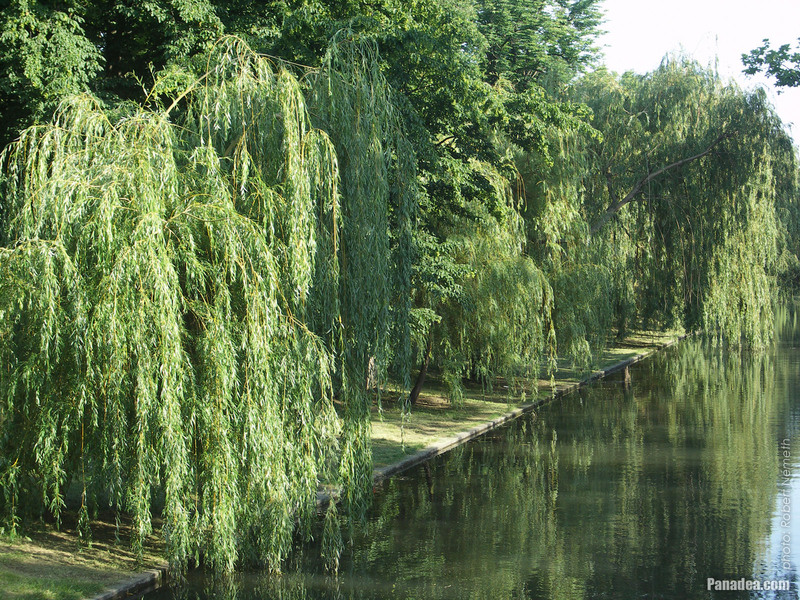 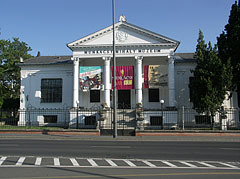 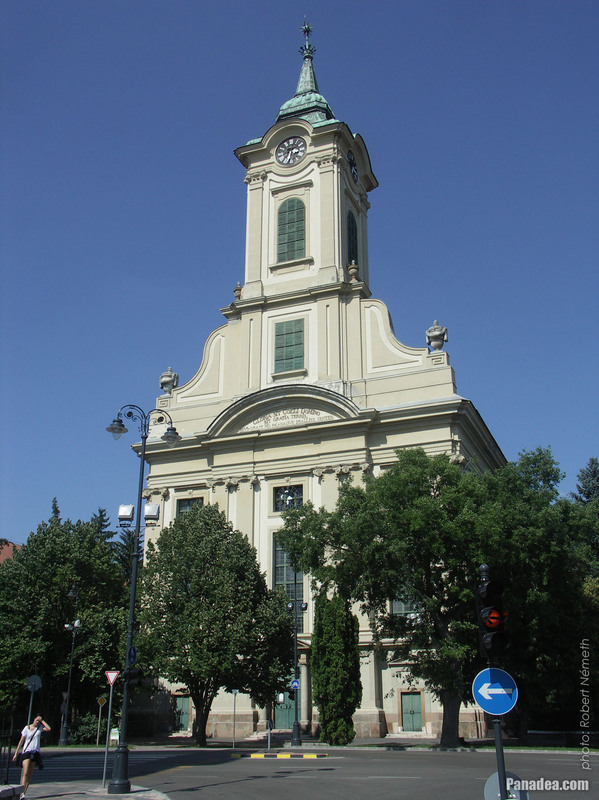 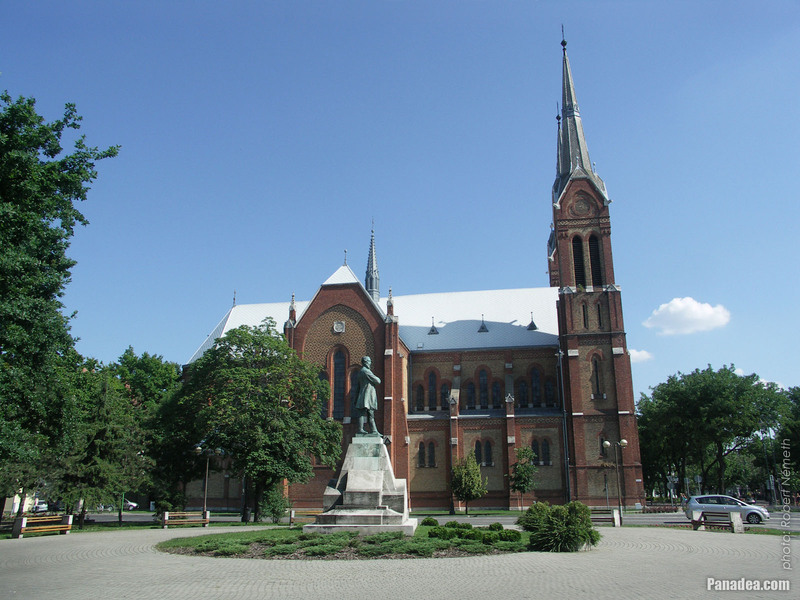 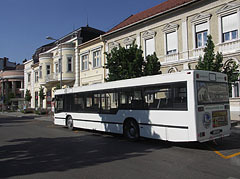 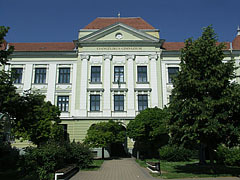 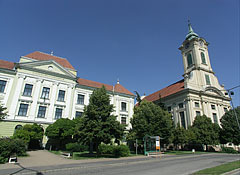 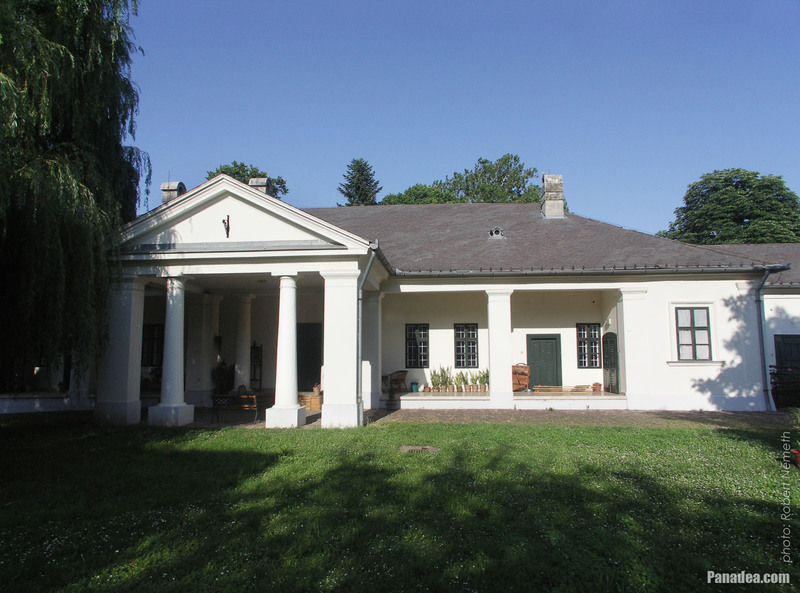 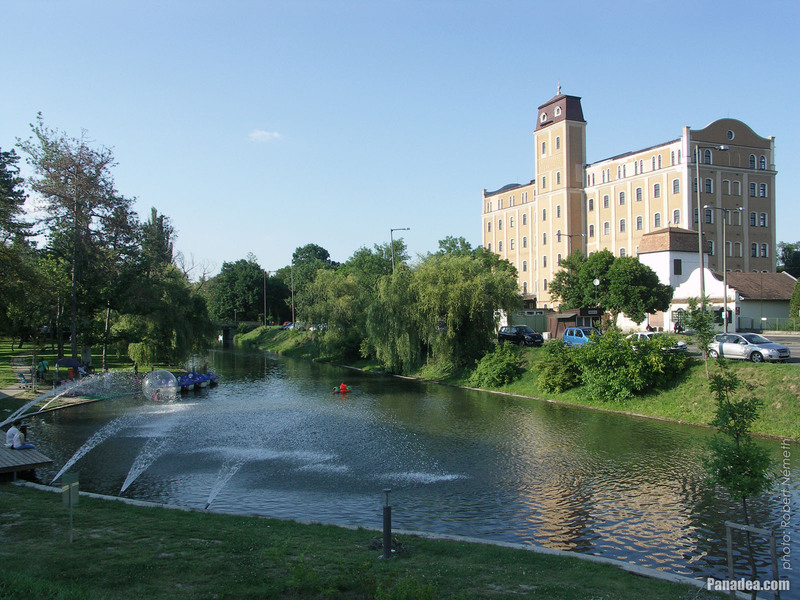 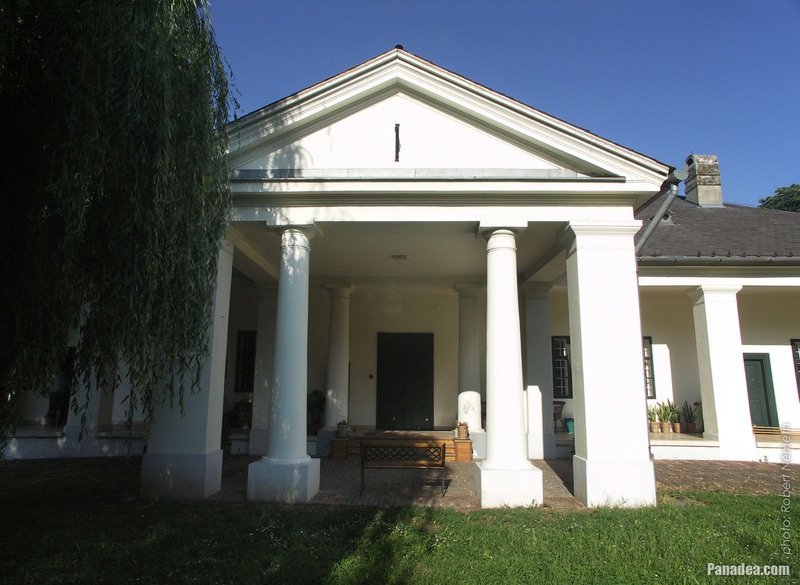 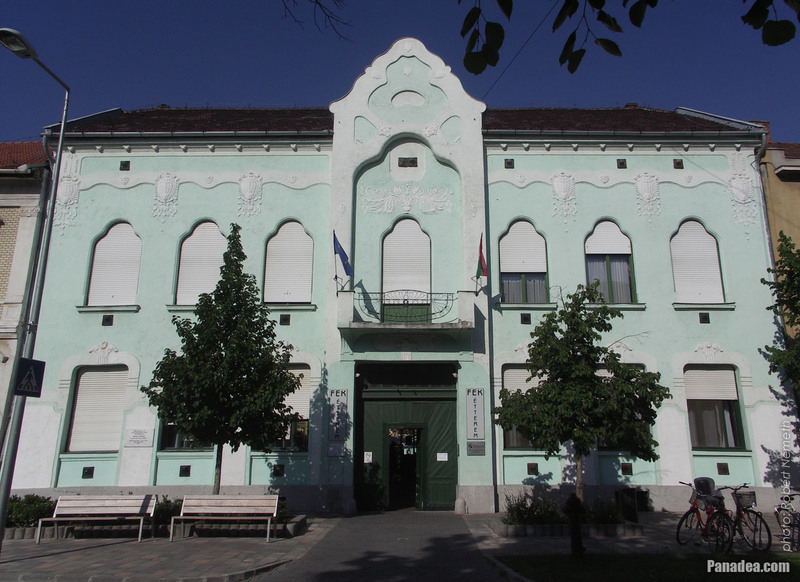 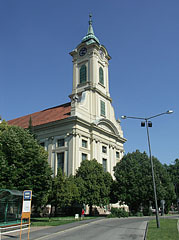 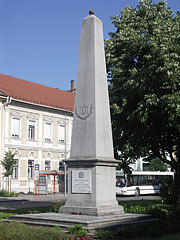 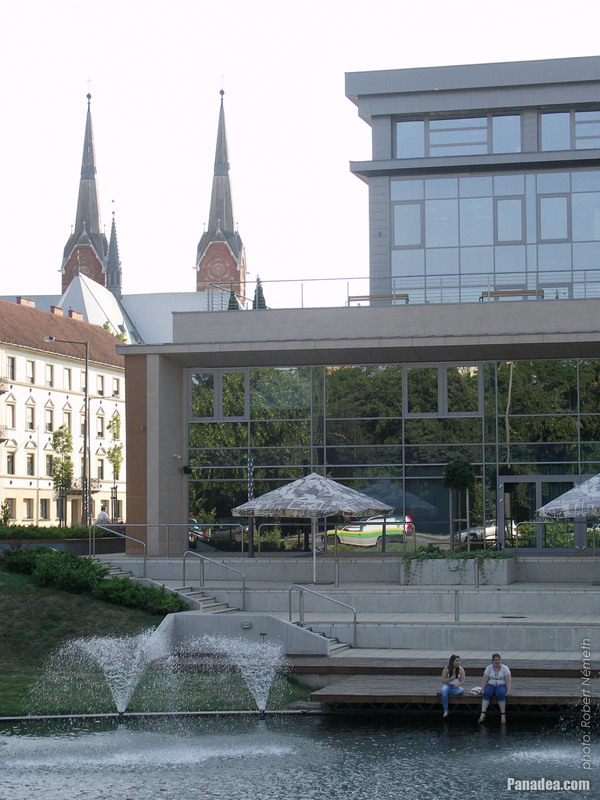 It was built in 1899 by the plans of Ignác Alpár. 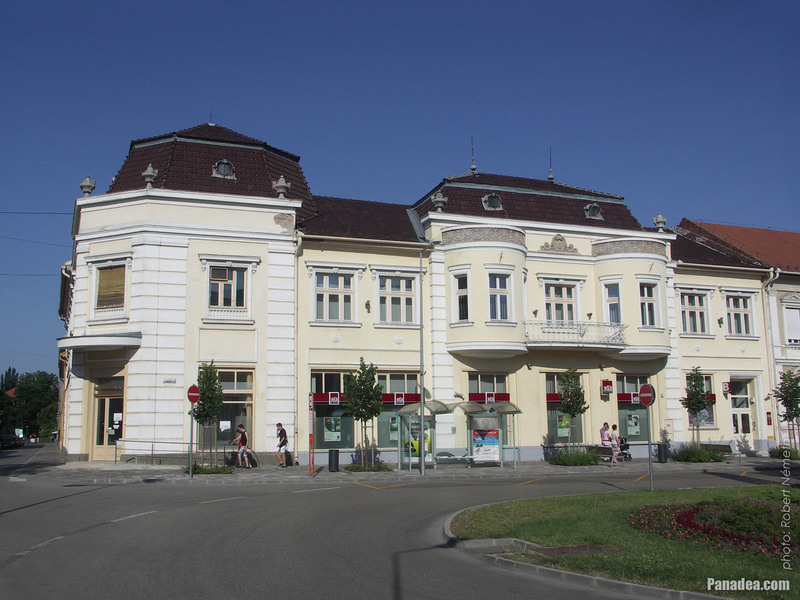 Designed by Antal Czigler architect from Gyula, based on the plans of Frantz Pumperger architect from Arad (today in Romania). 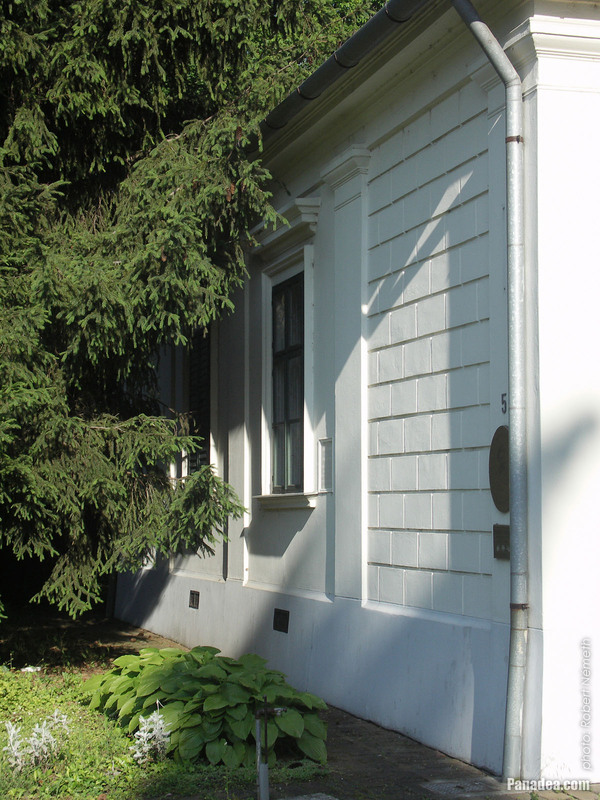 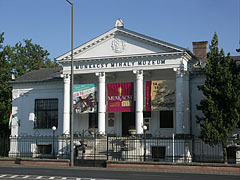 The church was built between 1807-1824. 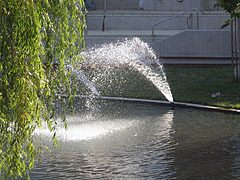 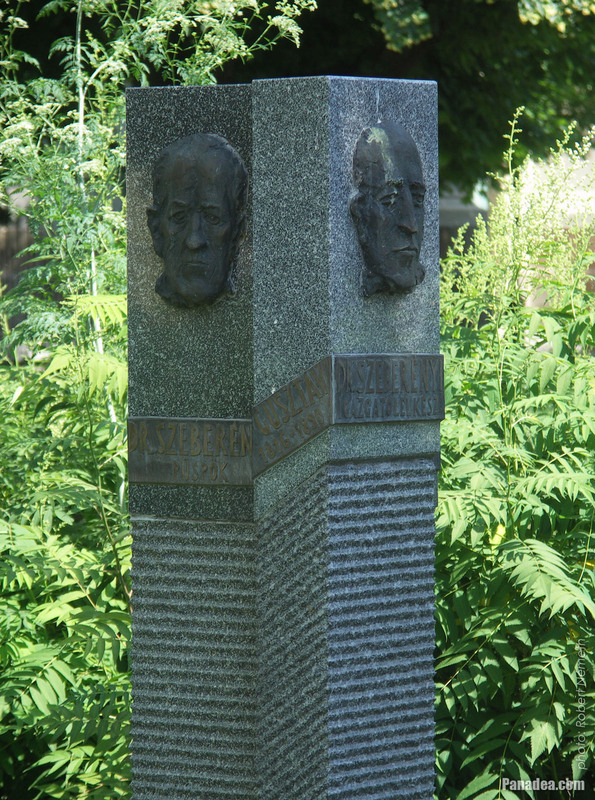 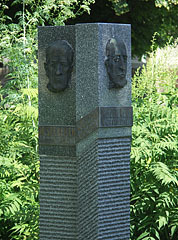 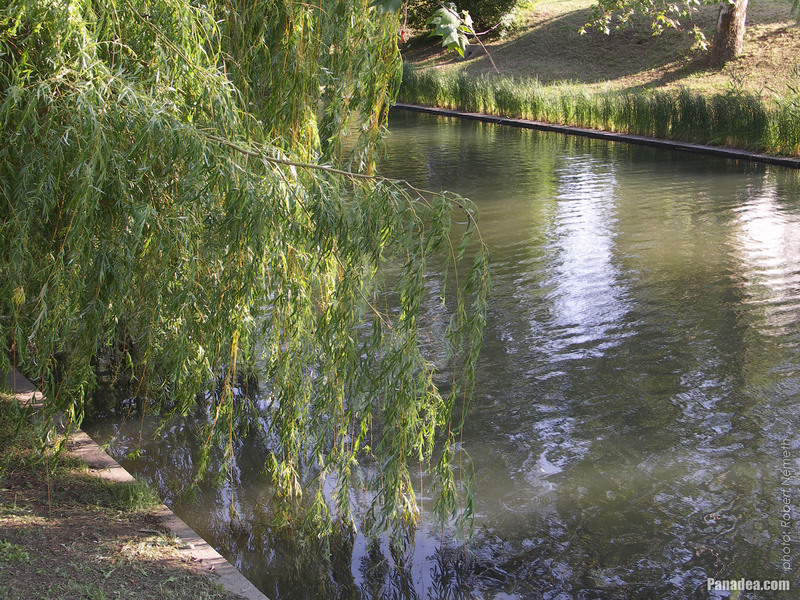 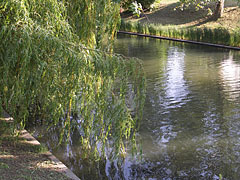 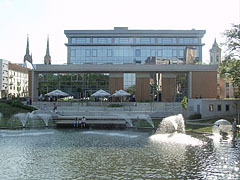 The stone obelisk was created in 1923 and renovated in 1999. 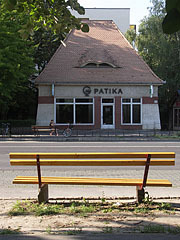 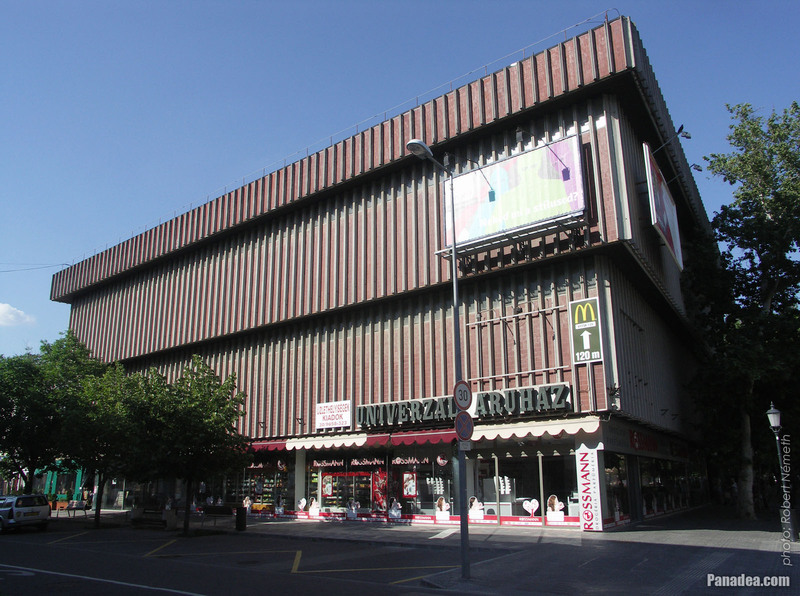 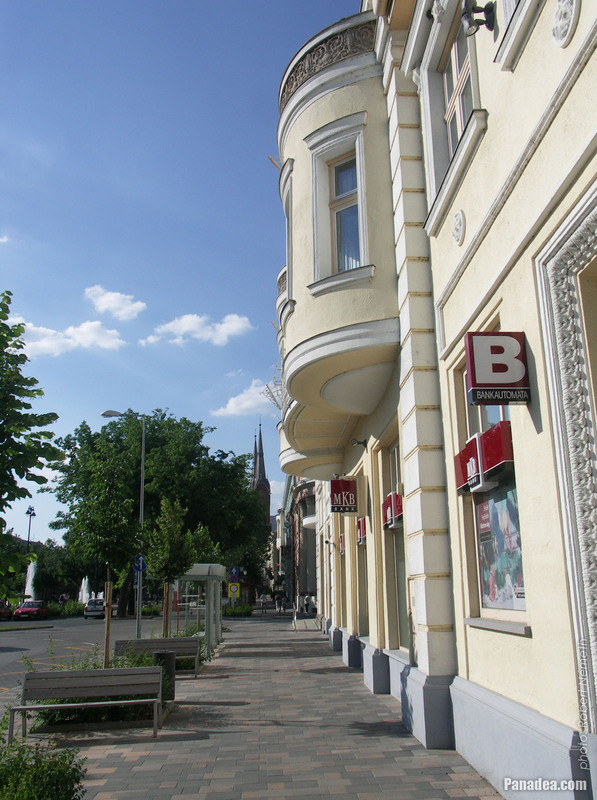 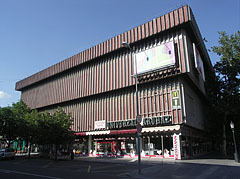 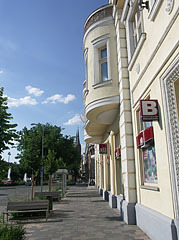 Built between 1927-1928, designed by Pál Vágó architect from Budapest. 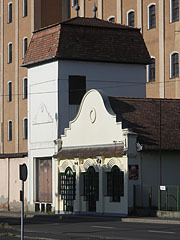 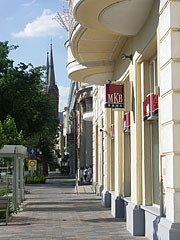 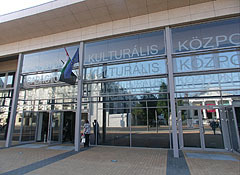 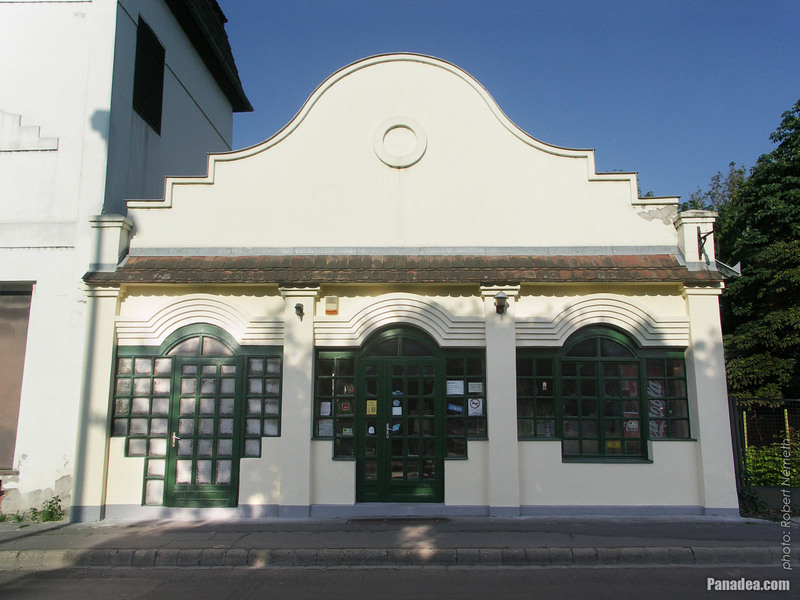 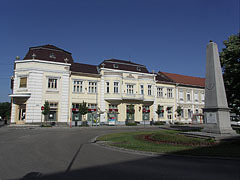 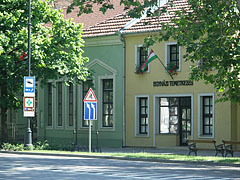 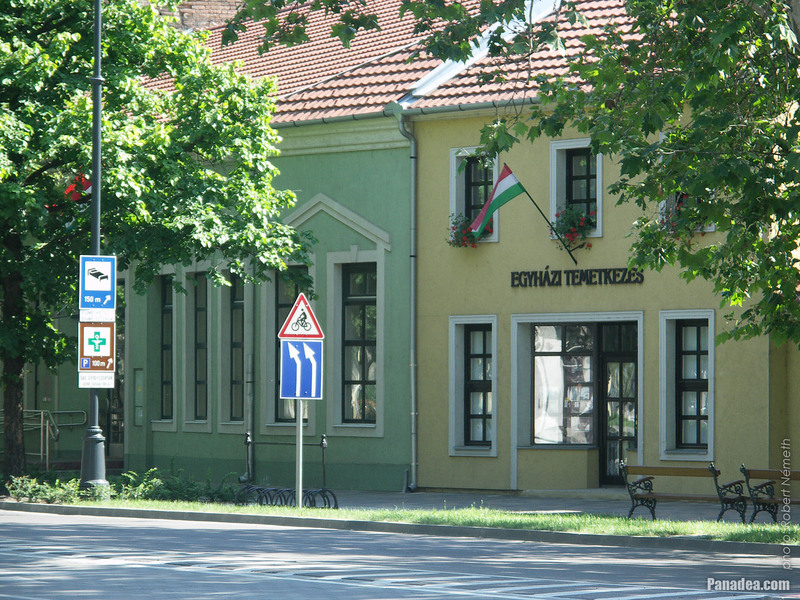 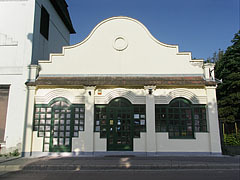 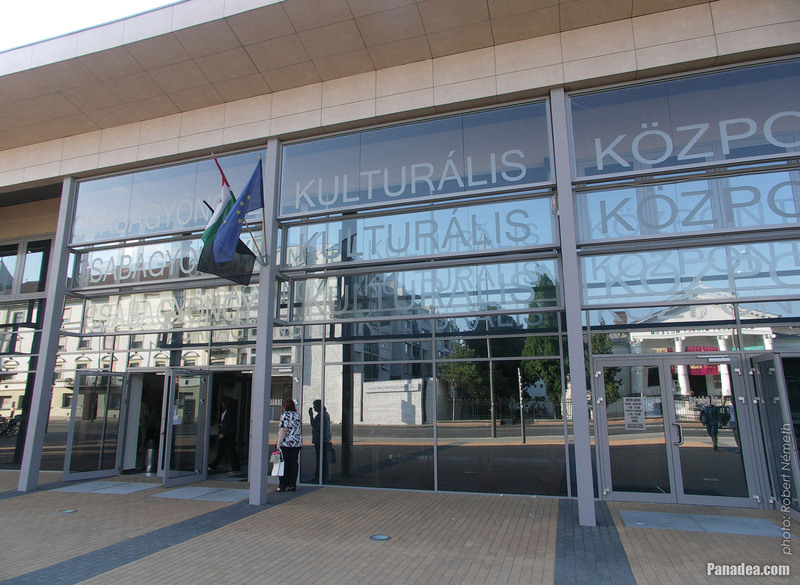 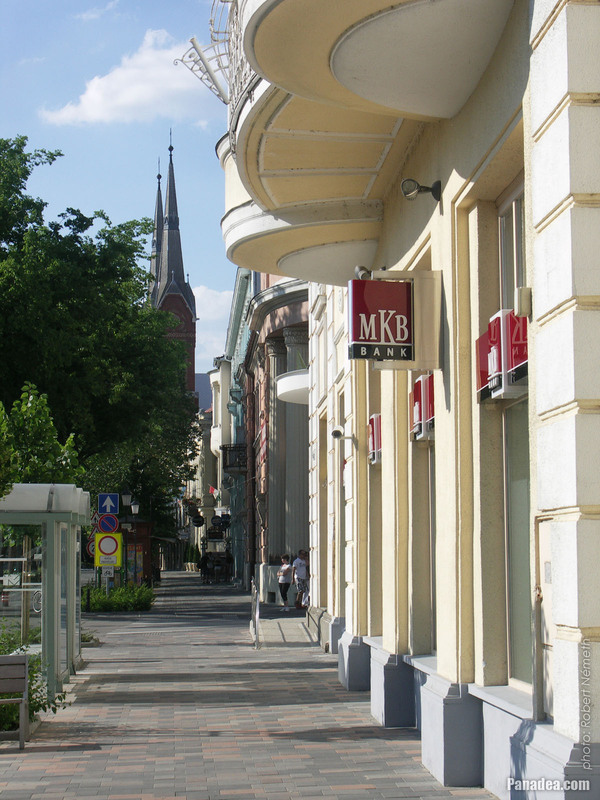 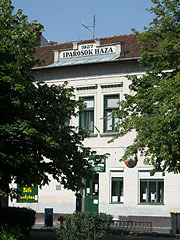 Among others there is the "FEK Szalon" restaurant and brasserie, as well as the Garrison Club ("Helyőrségi Klub") of the Hungarian Army within the building (the latter since 1962). Formerly it was the District Court, built in 1927, architect: Ferenc Orbán. 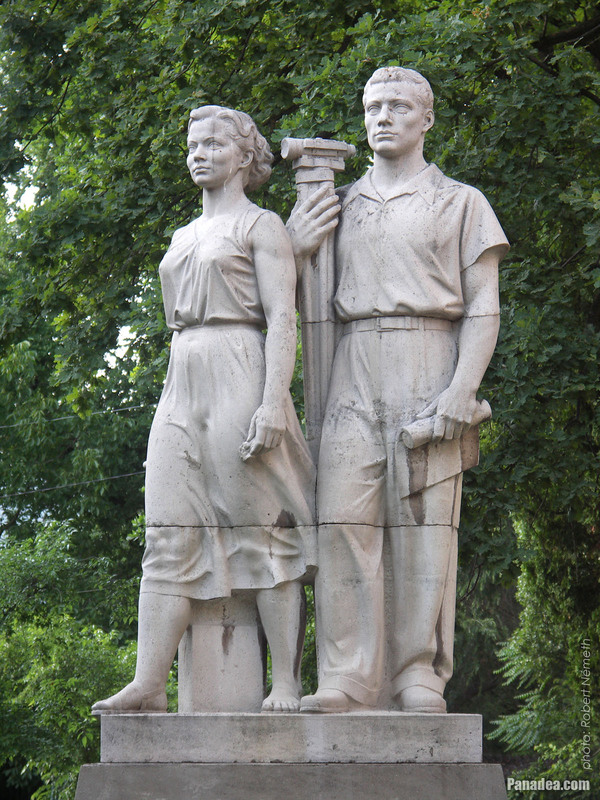 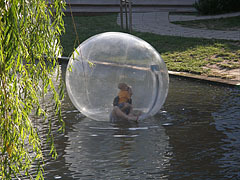 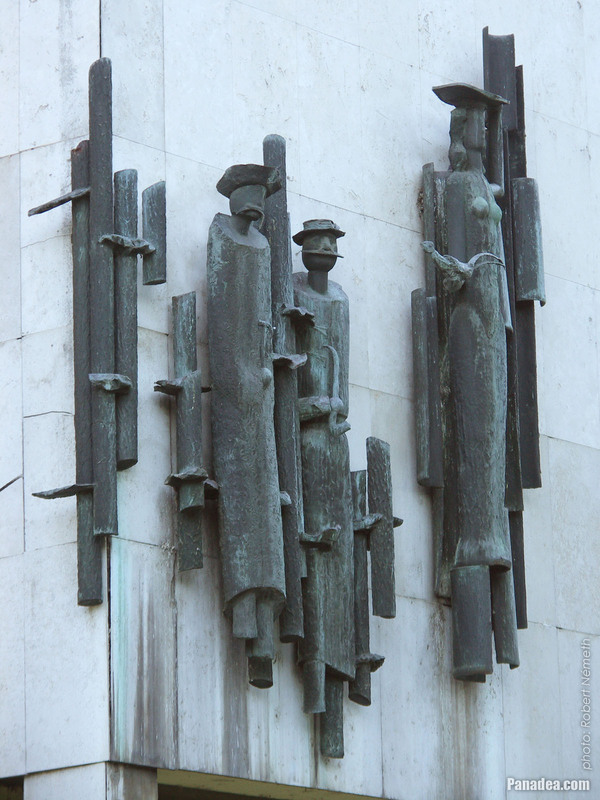 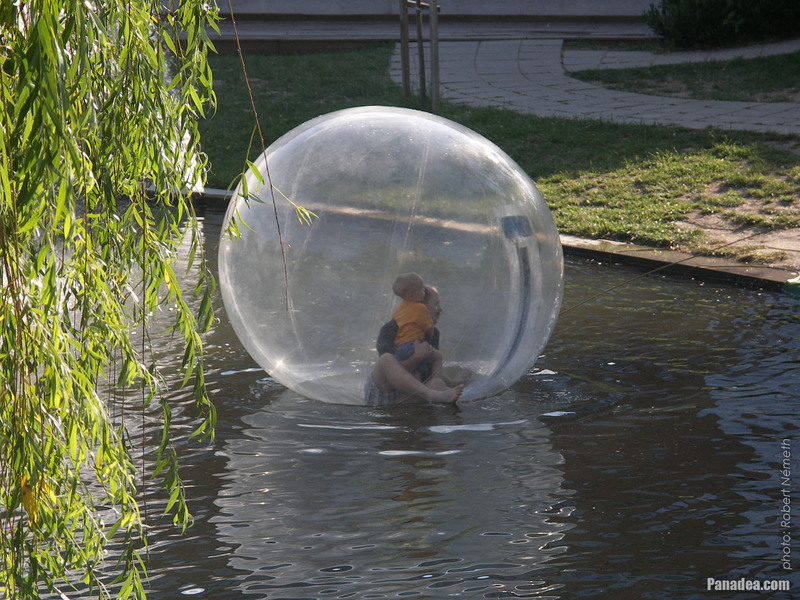 Created by Dezső Győri, it was first erected in Budapest in 1952, and moved to here only in 1958. 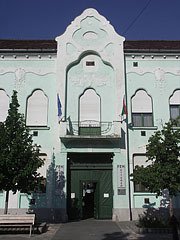 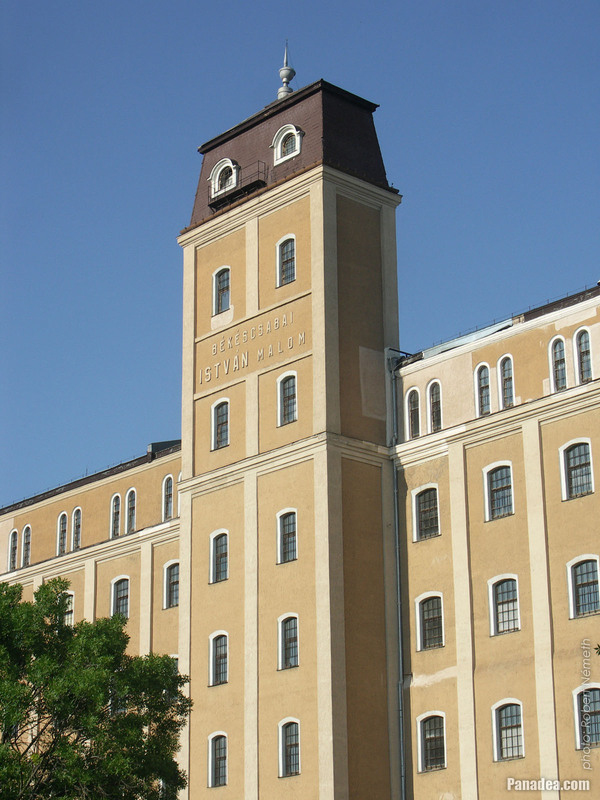 The building was built as a girls' school in the 1920s, and from 1955 onwads it was a Vocational Technical High School of Road and Bridge Construction. 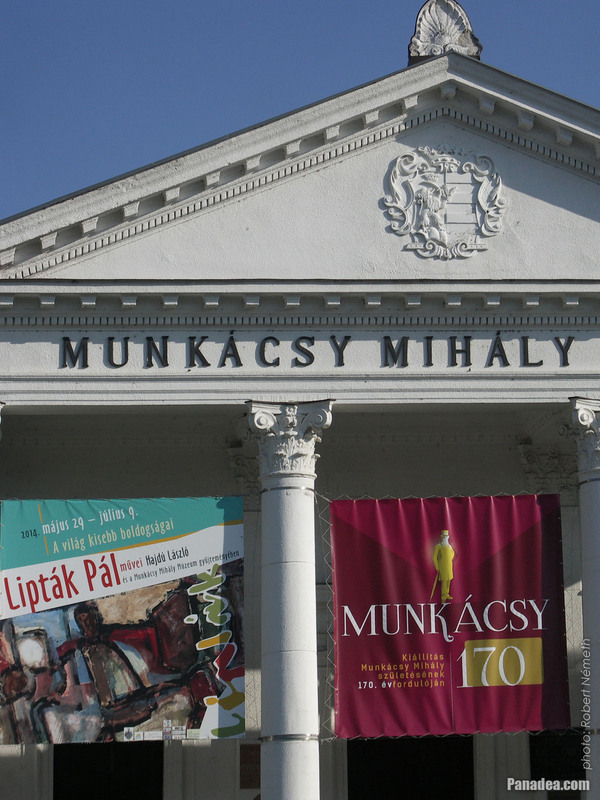 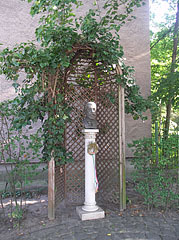 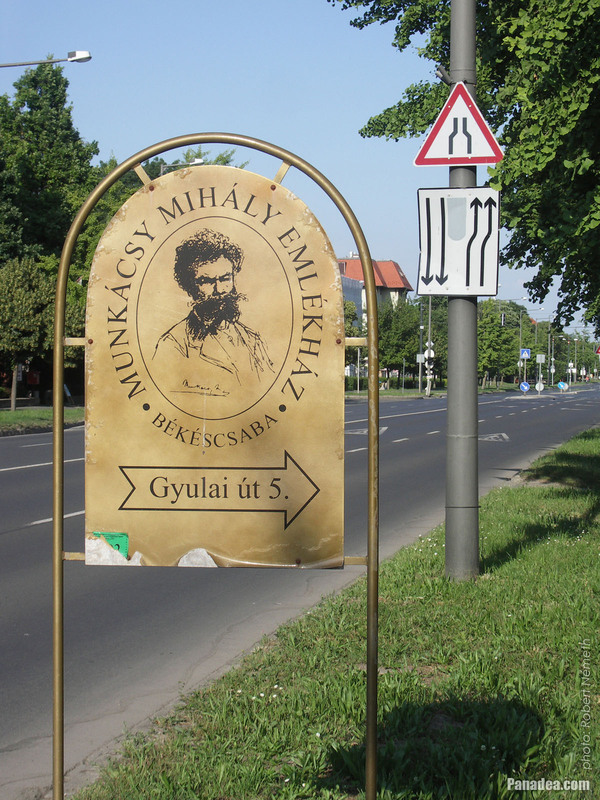 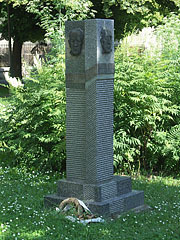 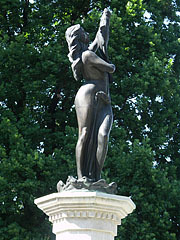 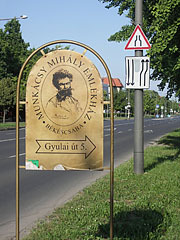 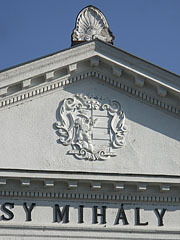 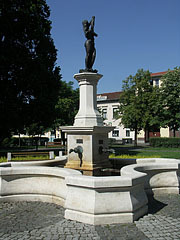 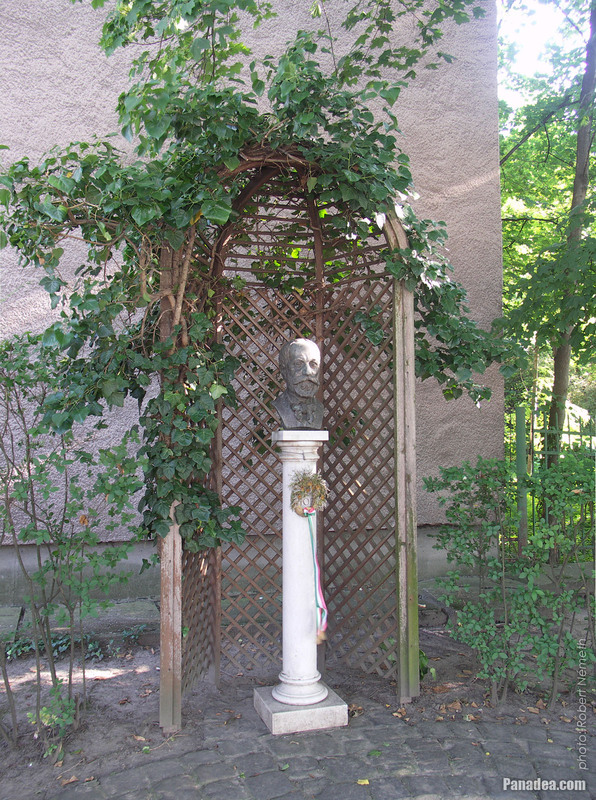 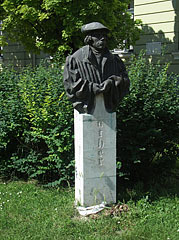 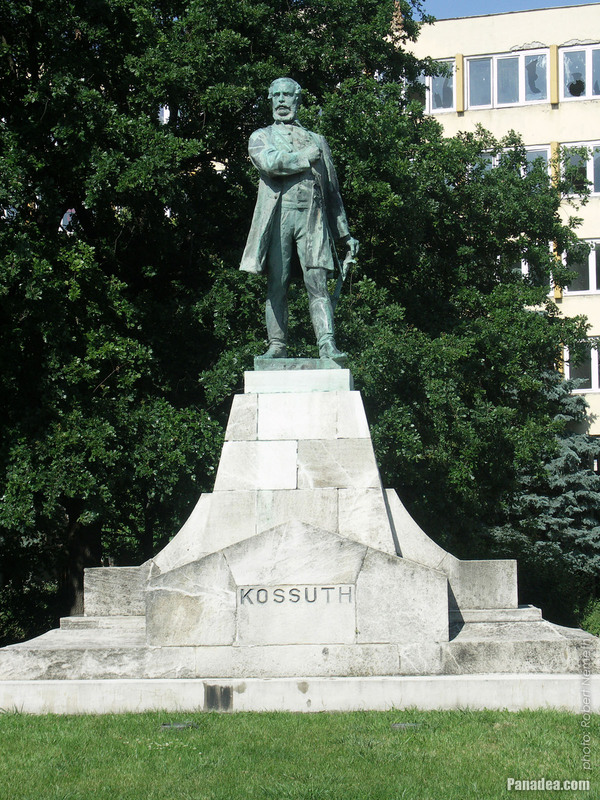 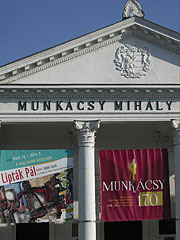 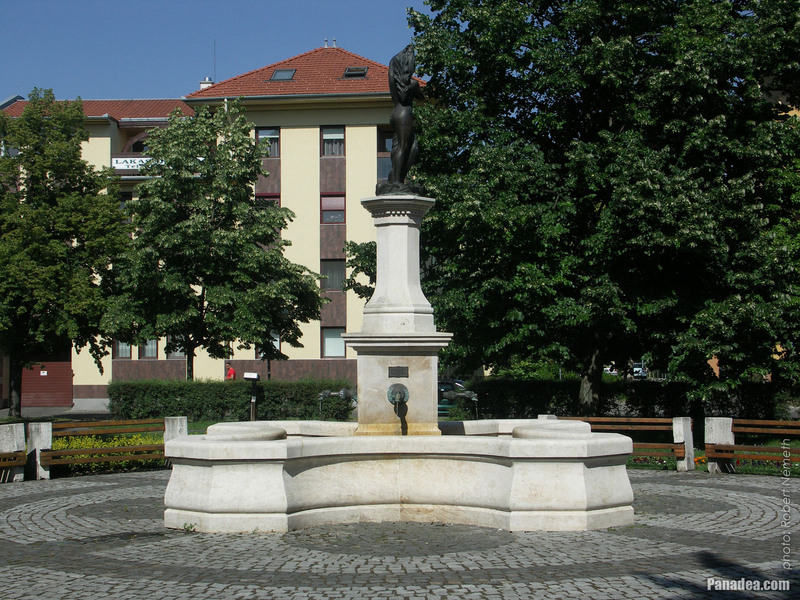 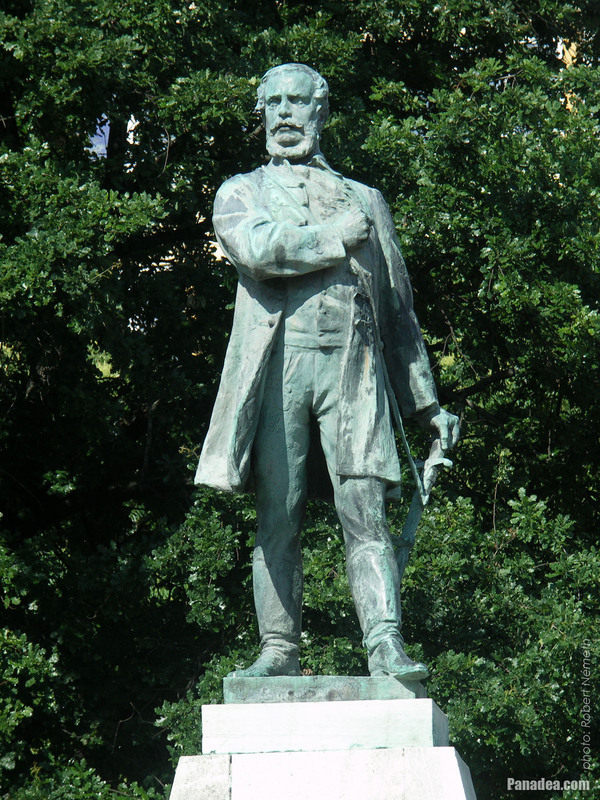 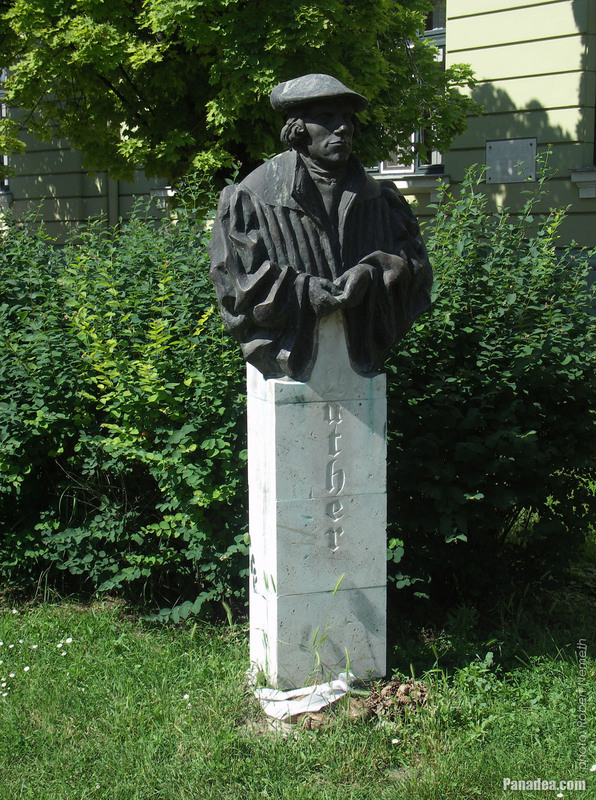 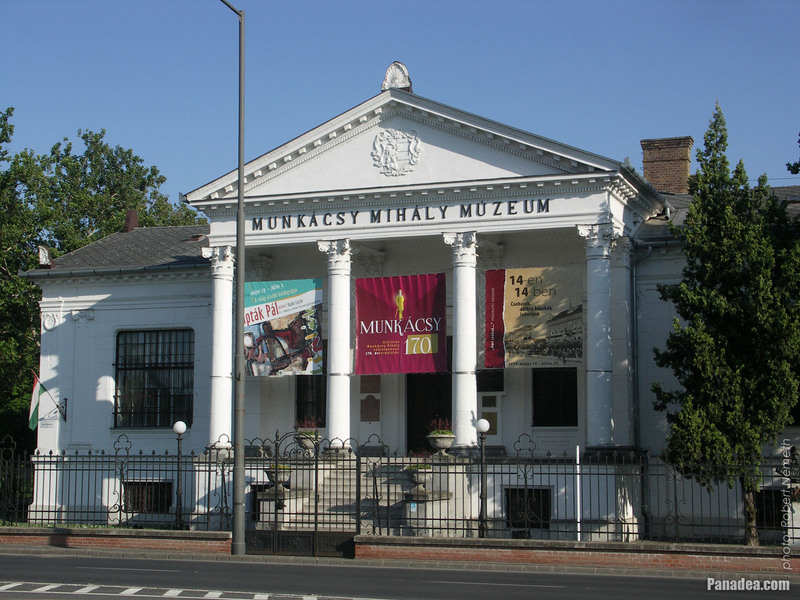 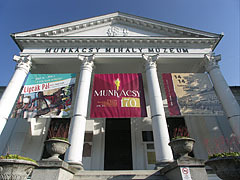 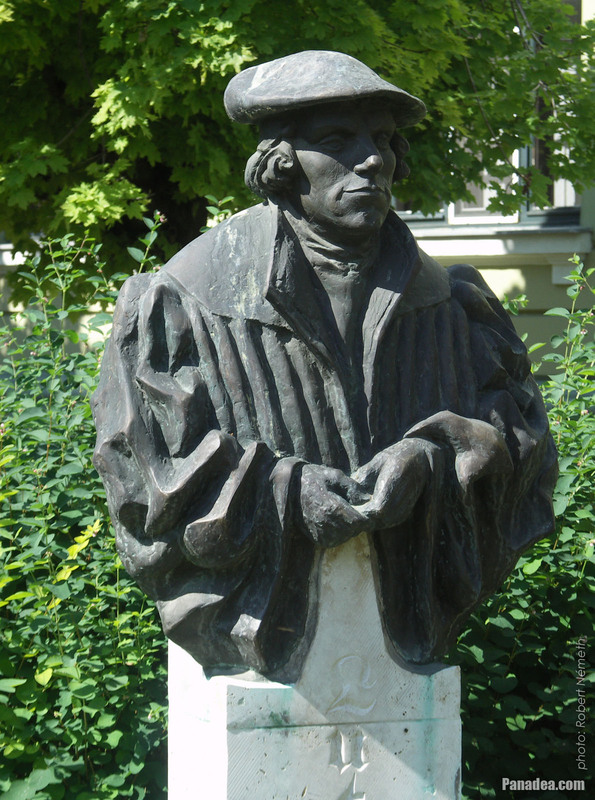 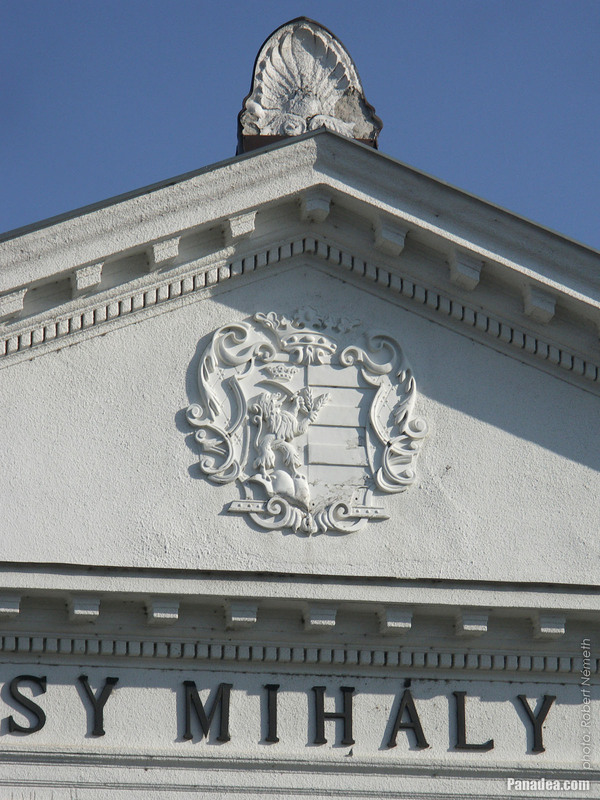 In front of it the bust statue of Mihály Munkácsy was sculpted by Miklós Borsos in 1958.